Last Tuesday saw the announcement by Virgin Cruises that it would be building three 2,800-berth ships at Fincantieri in Italy. Although little has been said about the product, we have a look at what this new brand could be like. Elsewhere, while Greece looks as if it could soon go back to the drachma, we have a look at the remains of what once used to be a thriving cruise fleet. And, finally, Star Cruises returns to Australia this year. Last week in Miami, Richard Branson and Tom McAlpin, the president of Virgin Cruises who was previously president of Disney Cruise Line, announced the broad outlines of Virgin’s new cruise venture. But they did not give up any details of the services that will be offered or the nature of the product to be delivered on board its three new ships, the first of which will go into service from Miami in 2020. Fincantieri will build the trio of 110,000-ton ships in Italy for delivery in 2020, 2021 and 2022. Original speculation was that the order might be for two 170,000-tonners but the ship size has been considerably reduced. Interestingly, Branson will be close to 70 when, with the backing of Bain Capital, he becomes a shipowner for the first time. To get any clue at all as to how Virgin view cruising, it is worth having a look at their existing retail outfit, Virgin Holidays Cruises, which is active in the UK market, although not elsewhere. Selling seventeen cruise lines, these include Royal Caribbean, Celebrity and Azamara in the Royal Caribbean group, Cunard, Carnival, Princess, Holland America and Seabourn in the Carnival group and Norwegian Cruise Line and Oceania in the Norwegian group. In addition, it sells cruises on a number of independent lines, including Disney, with which it has had a close working relationship for some time, MSC Cruises and Star Clippers. 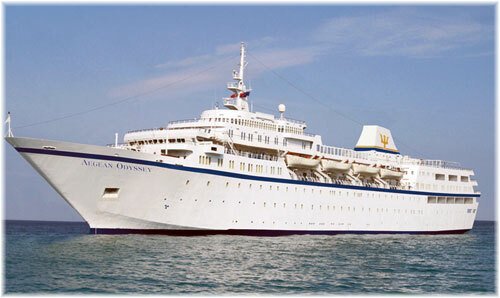 It also books Crystal Cruises, Fred Olsen Cruise Lines, Silversea and Thomson. Branson has also previously said “we look forward to delivering an experience for people who want a new way to cruise.” Virgin will also apparently be very different in their approach to shipboard entertainment, according to builders Fincantieri. Well our bets are that Virgin Cruises will be, like Viking Cruises, an inclusive product with few add-ons, and probably with more connections with the sea. Our bet is that Virgin will avoid the following, all of which are things that annoy cruise passengers and impinge on the pleasure of the experience. * Non duty-free drinks – If you like to have drinks during your cruise your bill can go up very quickly when the cruise line pockets the duty-free margin. * Expensive shore excursions – cruise lines usually double or triple the cost of shore excursions. This too can push a passenger’s bill sky high. * The shopping mall – while great on an overnight ferry, where this idea came from, adding to the cruise line’s revenue stream does not really enhance the feeling of being at sea. 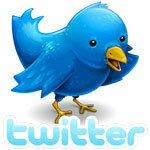 * Art auctions, bingo, gold chain by the inch, extra tariff restaurants at up to $50 a head plus wine. * Average Food – Food is often the passenger’s biggest disappointment, especially if they don’t feel like paying $50 extra per head plus wine for an extra tariff restaurant. * Average Shows – When Simon Cowell says someone belongs on a cruise ship he may be right – that is often what they sound like. * Average Ports – Docking at ports with 10,000 other people from cruise ships – Virgin will have to find some new itineraries – not St Thomas, not St Maarten and not Cozumel. * Short port times – There are places where some people want to spend more time exploring, but have to get back to the ship so the casino can open. Maybe more overnights? * Being on a ship with 4,000 of your best friends – Virgin’s choice of ship size will reduce that feeling. While 2,800 is still a crowd, Celebrity have managed it on their Solstice class ships. As Branson stated that he wanted his cruise line to appeal to a younger demographic, as well as people that are new to cruising, we have not included Holland America’s new Koningsdam in this comparison. But it can be seen quite readily that the Virgin ships will not match either Viking Star or Oceania’s Marina in terms of either space or crew numbers. At 984 feet to the Solstice class’s 1,033 feet they will be almost fifty feet shorter but carry about the same number of passengers, with a passenger space ratio of about 40 gross tons per head. The new Virgin ships will offer about 10% less space per passenger than the Solstice class, but something similar to the new Edge class ships. That can however be remedied by smart use of space. Instead of leaving large parts of the ship empty for most of the day, as with show lounges, for example, multiple uses can be made of the same space, resulting in less wasted space. What stands Virgin apart from existing cruise lines is that it is using a marketing concept and not a sales one. The true definition of marketing demands that the supplier determines the needs of its customers first and then designs a product to meet those needs, obviously at the maximum profit attainable. Sometimes, however, cruise lines seem to work the other way round in trying to outdo one another instead of listening to their customers. Virgin’s approach is more acceptable than the hard sell to get people on board and then the hustle to collect another third on the price they have already paid. Apart from experienced entrepreneurs such as Torstein Hagen, who are alert to this concept, this will be a major change for the mass-market cruise industry. Whether or not Greece remains within the Euro, today’s cruise industry means nothing like it once did to that country. Greece basically introduced Mediterranean cruising in the 1930s and then practically created a new industry in the 1950s when some of its major shipowners placed a number of Italian-built war reparations ships into cruising among the Greek Islands. Names such as Chandris, Epirotiki, Goulandris, Kavounides, Nomikos, Sun Line, Typaldos and others once managed a shipping fleet that has almost totally disappeared. Today, Greece’s participation in the cruise market consists of Celestyal Cruises, the four-ship arm of the Cypriot-based Louis Group, and Global Cruises, which owns half of the UK’s Cruise & Maritime and operates three of its fleet of four ships. Only Aegean Odyssey Maritime and small ship operator Variety Cruises, whose total fleet accounts for just a few hundred berths, now represent the local industry. Cruising in Greece is nowhere near what it once was. The biggest earner in cruise revenues in Europe last year for example was Italy, with €4.6 billion. Italy was followed by Germany with €3.2 million, the UK with €3.2 million, Spain with €1.2 million, France with €1.1 million, Norway with €591 million, Finland with €582 million and, in eighth place, Greece, with €506 million. The cruise industry last year was worth nine times as much to Italy as it was to Greece. Likewise, Greece produced only 18,441 cruise passengers last year and it employed 10,136 workers, compared to 102,284 in Italy, 71,022 in the UK, 49,559 in Germany, 25,483 in Spain, 15,101 in France and 14,745 in Norway. The cruise industry has created ten times as many jobs in Italy as in Greece, which came in seventh, and seven times as many in the UK. Whether Greece reverts to the drachma is an open question today, but the other one is might a return to the drachma produce the potential for the return of a low-cost Greek cruise fleet, which would still qualify as a European flag if Greece remains within the EU. A few years ago, Louis Cruises registered a good part of its fleet under the Greek flag but, due to difficulties with the Greek seamen’s unions, soon transferred those same ships to Malta, the European flag now used by all four of the Celestyal fleet. Although managed from Piraeus, Voyages to Antiquity’s 408-berth Aegean Odyssey is also registered in Malta, while Majestic International Cruises’ 535-berth Ocean Majesty is flagged in Madeira. Malta is also the flag used by Celebrity Cruises, many of whose ships still have Greek captains and officers. Celebrity was of course founded in 1989 by the Chandris family but sold to Royal Caribbean Cruises in 1997. From Piraeus, Global Cruise Lines manage Cruise & Maritime’s two owned ships, the 1,250-berth Magellan and 848-berth Marco Polo, both registered in the Bahamas, as well as the chartered 556-berth Azores, soon to be renamed Astoria, registered in Madeira. A fourth ship, the recently-acquired 550-berth Astor, is still managed by Premicon in Munich. Whether entrepreneurs are still left to revive a Greek cruising fleet under the drachma as also an open question. 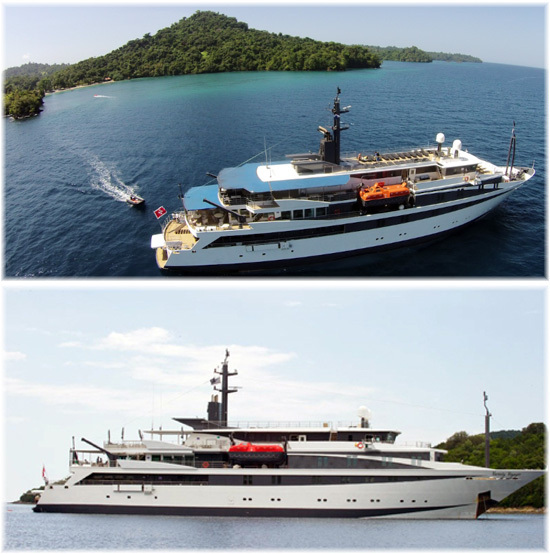 Many Greek owners have entered the ferry business in recent years, building many new ships for routes in the Aegean and the Adriatic ranging from Venice in the north through Crete in the south. But the ferry business has also seen its own trials. 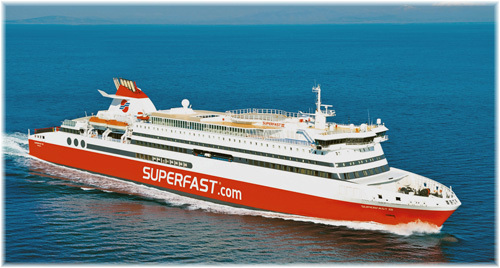 The Attika Group, for one example, parent company of Blue Star Ferries and Superfast Ferries, was acquired in 1992 by the Panagopulos family. In the early 1970s, Pericles Panagopulos had founded Royal Cruise Line, which he sold to Norwegian Cruise Line in 1989. 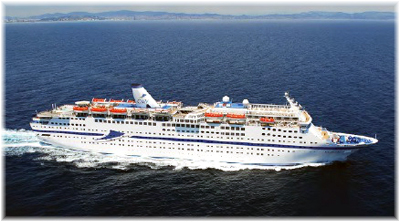 Royal Cruise Line operated three popular and well-known Greek-flag and Greek-crewed cruise ships but Norwegian eventually closed down this operation. Panagopulos sold his interest in Attika Group in 2007 and is now active in bulk shipping through Magna Marine. Meanwhile, in recent times, in order to turn around losses, Attika has sold off some of its modern ferries. Two of these have found their way to North America, where Genting’s 32,728-ton Bimini Superfast now sails between Miami and Bimini in the Bahamas and Bay Ferries’ 10,193-ton Fundy Rose is due to enter service next month between Saint John, New Brunswick, and Digby, Nova Scotia. As to the Chandris family, since the £170 million sale of its 51% of Celebrity Cruises in 1997, they are now invested in property in the UK and hotels in Greece, as well as operating a fleet of twenty-three tankers and bulk carriers under the name Chandris (Hellas) Inc. The largest of these carry the names of former Chandris passenger ships such as the Australis, Britanis, Ellinis and Patris. There is no sign however that they want back into the cruise business, which has changed enormously since the sale of Celebrity and the arrival of the 100,000-ton cruise ship just as they left the business. 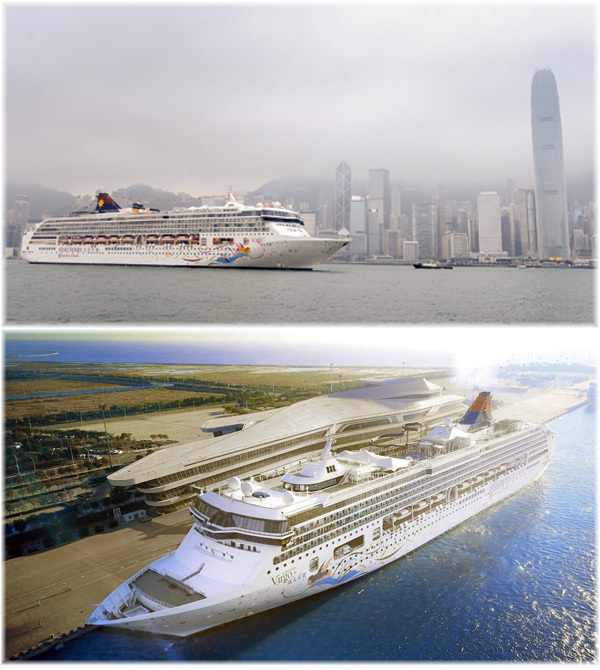 Hong Kong-based Star Cruises has recently announced that it will offer an epic 48-night voyage in the 1,870-berth SuperStar Virgo leaving Hong Kong on November 13 and returning on December 31, 2015. Included will be the ship’s first visit to Australia in ten years, with calls at Geraldton, Fremantle, Albany, Adelaide, Melbourne, Burnie, Sydney, Brisbane, Cairns and Darwin. Other calls will be made in Cambodia, China, Indonesia, Malaysia, Singapore, Thailand and Vietnam, with calls in over twenty ports in Asia. Shorter sectors such as Hong Kong/Fremantle and Fremantle/Sydney will also be available. Star Cruises has two larger 3,364-berth cruise ships on order at Meyer Werft, for delivery in October 2016 and October 2017. At 150,000 tons, these ships will be twice the size of the 75,338-ton SuperStar Virgo, which with SuperStar Leo (now Norwegian Spirit) were the first real “Freestyle” ships to enter service when they were new in 1998/99. Star Cruises has recently purchased Crystal Cruises from Japan’s NYK and also holds a significant shareholding in Norwegian Cruise Line, including its recently-acquired Regent Seven Seas and Oceania brands.